Industrial technicians, electrical contractors, etc. can immensely reduce the time and effort they put into in fixing doors, conduits, door and window frames by using laser plumbs. They provide an effortless way of doing these mind-wrenching jobs. When you are working on any masonry project, you need a plumb laser to ensure quality of work. This vertical reference, commonly used as plumb bobs are being used since the time of ancient Egypt. 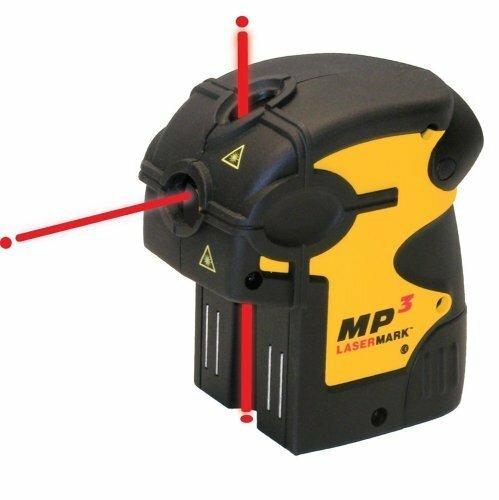 Here are the 10 best plumb laser that your money can buy right now. This is Rack a Tiers vertical dot laser plumb. Just lay out your lighting layout on the floor and let the laser mark the spot on the ceiling. Worth the investment. “Works great on sloped ceilings. Measure on the floor aims the plumb bob up. Excellent for recessed light installation.” – Amazon’s Customer Review. This is Hardware Supply Mall’s self-leveling, 3-beam laser plumb bob. The unit has a working range of 100 feet and an accuracy of 1/4-inches at that, with a down accuracy of 1/4-inch at 50 feet. The unit’s tough construction resists dirt, water, and dust and the built-in magnets quickly mount a laser to metal. It comes with 3AAA batteries and weighs 2.2 lbs. 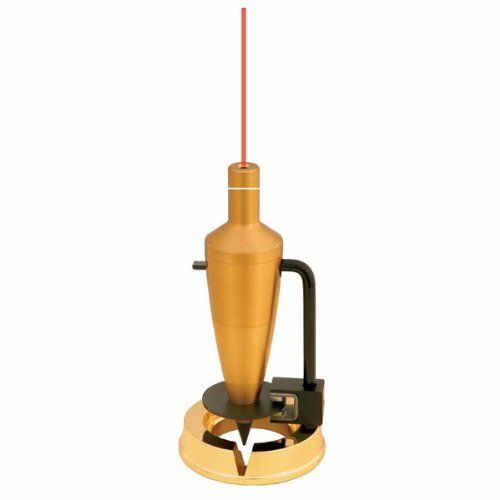 This laser plumb by Spectra Merchandising Intl is a five beam point laser with a hard case. The automatic self-leveling and plumb assure accuracy and fast setup. The unit offers dust, water and shock-resistance for improved reliability. Ideal for horizontal and vertical alignment, wall layout, acoustical ceiling installation, point transfer up and down, wall and floor tiles, finish carpentry, and 90 degrees squaring. Works well and allows two person job to become one person job. “I have owned many self-laser tools and for the money you cannot beat this one anywhere. It works very well, and I have used some that were three times the cost. This works for levelling walls by yourself, and I love the five beam works very well for layouts and squaring up things. Awesome product. Thank you for making a product that is at a great price and very durable.” – Amazon’s Customer Review. This is Stabilia’s 5-point, laser plumb bob. The plumb points up and down and the rotatable housing protects lenses when closed. It has an extendable base and can transfer 90 degrees layout points. Accurate, heavy duty and durable. Accessories include target plate, wall bracket and belt pouch. 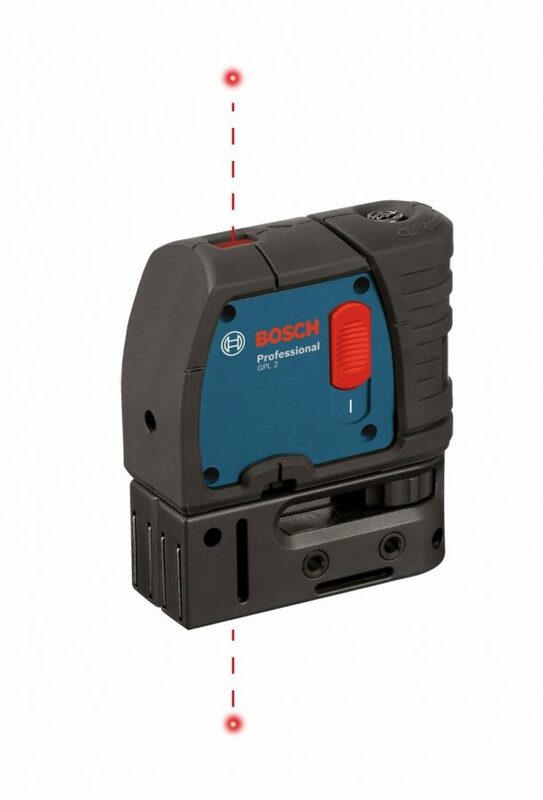 This is Bosch’s two-point laser plumb projection which accurately transfers points from floor to ceiling by magnetically mounting to metal surfaces. A blinking laser indicates the out-of-level condition. The unit has an over-molded housing to ensure dependable operation, strong grip and protection from water and dust. The unit has an accuracy of 1/8 inches at 30 feet for up/down plumb applications. The attachment device mounts virtually anywhere. Accuracy: ± 1/8 In. At 50 Ft.
“I use it mainly for lighting. I lay them out on the floor and transfer them up to the ceiling. This tool is the method on how I get the measurements up there. One useful feature it does have that some don’t is that it’s adjustable and has an adjustment tool so you can get it back to plum when it goes out. The thing I don’t care for is it’s a little big for what it does. Overall it’s a great bargain, and it comes with a case if you buy it here but if you get it from home depot you don’t get the case.” – Amazon’s Customer Review. This is Johnson Level Tool’s magnetic torpedo laser level. Three vials, read plumb, level and cross check. A built-in rotating head swivels and projects laser dot on horizontal or vertical lines. The magnet is just the right strength to hold the unit firmly -even upside down- against any steel (preferably flat) surface. The laser head allows you to toggle between a dot and a line. The same head also rotates at 90° intervals in one direction marked with an arrow. The durable moulded housing is impact resistant. Includes 2 AAA batteries. This is Dewalt’s 3-beam laser pointer. This self-leveling pointer is accurate to 1/4″ @ 100′. A single lever power switch locks pendulum in the off position and the built-in magnetic pivoting bracket mounts easily on metal surfaces. Integrated track clearance enables users for fast and accurate bottom and top track installation. A Focused laser beam keeps the dot size small over longer distances for improved accuracy and visibility. “I have always wanted to get one and was always borrowing someone else’s at the job. Don’t like to do that all the time. This tool is many times faster than a plumb bob and only requires one person to do the job related to the plumb bob task. 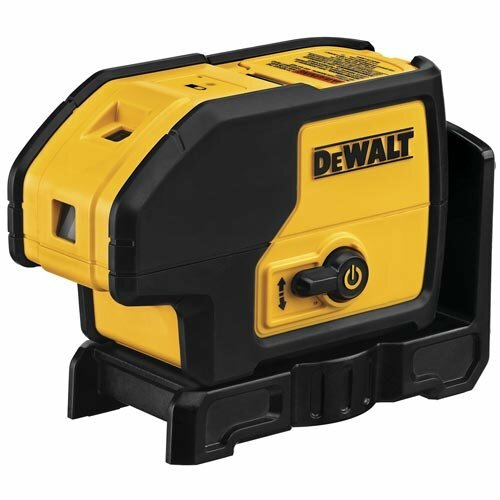 There are many brands just as good as the Dewalt but I like the protective case, and the price was right.” – Amazon’s Customer Review. 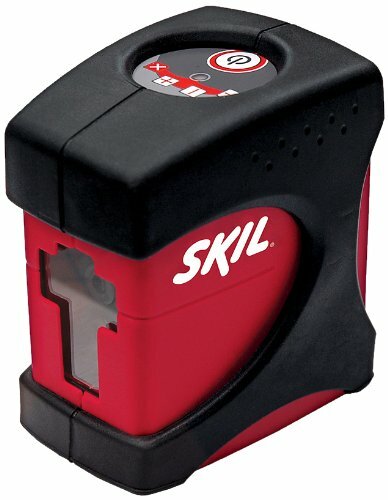 This is Skil’s self-leveling cross-line laser. The unit projects horizontal, vertical laser, cross-line, and manual for precise plumbing and alignment. The horizontal laser line is projected with 120-degree fan angle. It automatically senses out of level arrangements and alerts the user. “Great tool especially considering the price. Seems to be dead on compared to my 4 foot level along a 14′ run. Also came with a tripod (includes bag) and a soft case for the laser itself. Highly visible indoors in a 12′-14′ room lighted with four 60 W bulbs. Also visible outside in overcast. One thing to note: this laser does not lock the pendulum mechanism when in manual mode or off as some advertisements (and the instructions) say. All the “manual” mode does is disable the not-level warning. You can still use it fine. Probably not a big deal for an occasional user with a little care. I probably would not want it bouncing around from job to job in my work vehicle. Great product. Don’t hesitate to buy it from Amazon.” – Amazon’s Customer Review. 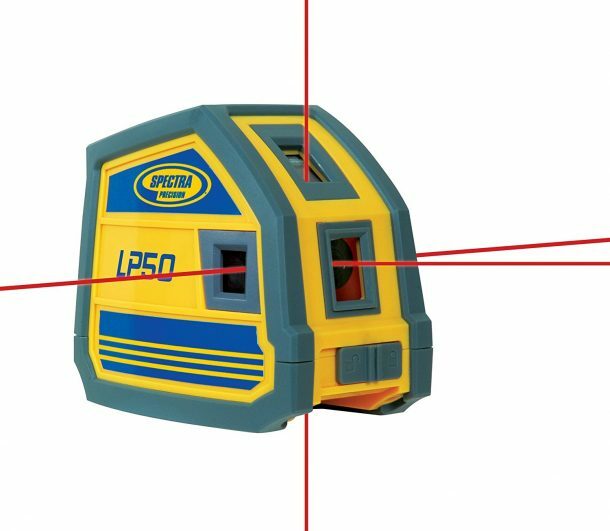 This is Pacific Laser System’s laser level tool. The unit is accurate up to +/- 1/4 of an inch at +/- 100-Feet. The layout reference points are faster than traditional methods. It can self-level in a range of 6-degrees and offers an operating time of 30 hours continuous. It comes with a carrying pouch, floor stand and a wall bracket. The laser is compact, durable, lightweight and portable. 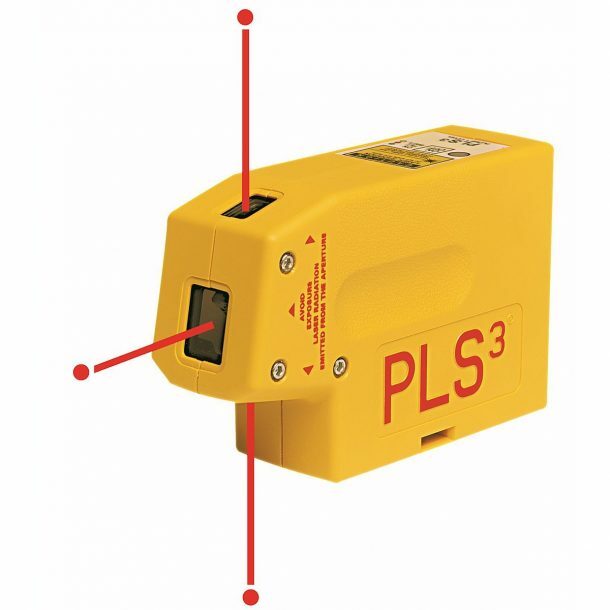 “I have been using one of these little laser plumb/levels for about a month now. It is the first, and often the only level I reach for these days. It shoots a bright red dot visible in full daylight and makes locating plumb and level points a cinch. Perfect for framing, layout, finish,etc.. It is rugged enough to handle the usual job-site bumps and scratches, and small and light enough to fit in your tool pouch. Long battery life too. The only drawback is that the other guys on the crew constantly want to borrow it!” – Amazon’s Customer Review. 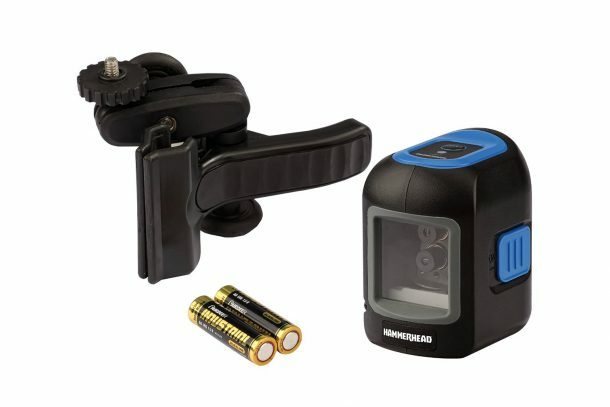 This is hammerhead’s compact, Self-levelling cross line laser with an adjustable mounting clamp. The unit projects bright lines which are ideal for tile alignment, wall studding, windows, doors, etc. It has an accuracy of 1/4 in. 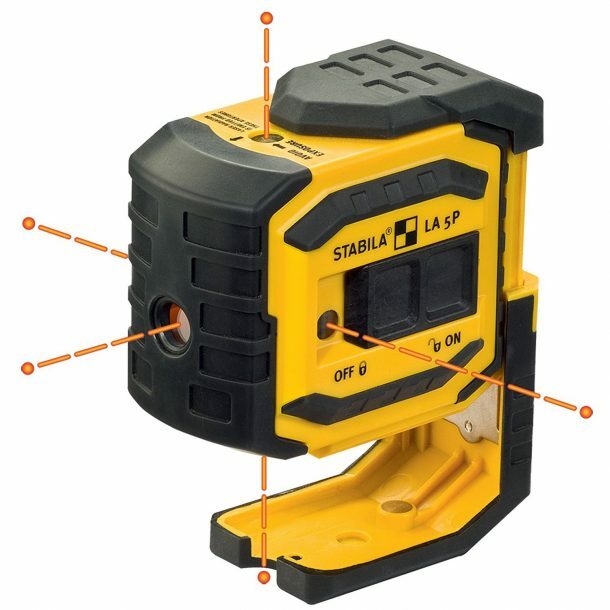 At a range of 30 ft and features three laser-line modes: Level, Plumb and Cross-Line. It also offers self-leveling capability when within 4-degrees of the level. Includes easy to adjust clamp for multiple applications. “The best thing I’ve bought in a while. This is a GREAT level laser! We are building our retirement home ourselves and needed a laser leveller to install the kitchen (I mean “we are building” literally). I purchased this one, and we got them in straight and level. It allowed two amateurs to do a professional job!! And, at a price, I don’t know why everyone doesn’t have one just because.” – Amazon’s Customer Review.